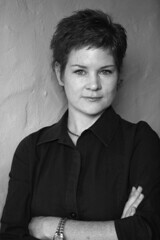 Leonie Joubert is a freelance science journalist, columnist and author. Her books Scorched: South Africa’s changing climate (Honorary 2007 Sunday Times Alan Paton Non-Fiction Award) and Boiling Point: people in a changing climate, travel through South Africa’s remarkable countryside and tell the stories of places and people that are vulnerable to climate change. Invaded: the Biological Invasion of South Africa was launched at the Cape Town Book Fair this June. Meanwhile she’s got two school resources books on the back burner. She was the 2007 Ruth First Fellow, and was listed in the Mail & Guardian’s 200 Young South Africans You Must Take To Lunch (2008).